Daymond John knows a thing or two about running a successful business. Before he became known as the “People’s Shark” on ABC’s hit reality series, “Shark Tank,” John turned a bag of hats and an idea into the multi-million dollar apparel company FUBU. And since then, he’s mentored many an entrepreneur seeking to do the same thing. One particular soft spot for the shark? Former service members, he told Military Times. “I’m constantly working with veterans as much as I can,” he said. Currently, John is in his third year working with Bob Evans Farms to promote veteran entrepreneurship through the company’s Heroes to CEOs program. 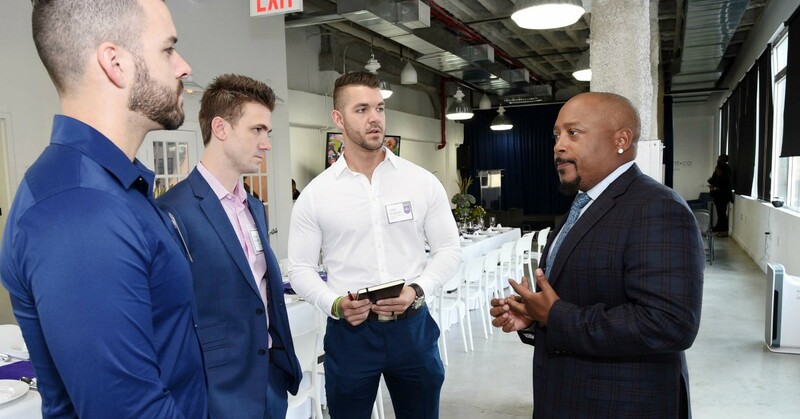 Now through March 20, veterans can enter the group’s latest contest for the chance to pitch their ideas to investors and win a $30,000 grant for their business. The finalists will receive a free trip to New York City for a personalized, 45-minute session with John to help them perfect their pitch.